*Note: Aerobics classes are suspended until early July, 2019. Ready to burn up to 500 calories in a single hour? Try the BEST fitness class ever! 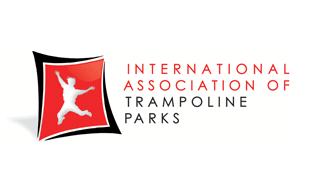 Trampoline aerobics is a work out for all ages, abilities and sizes. Our 60 min workouts consist of cardio and strength training. The trampoline is easy on the joints yet works you entire body, especially your core muscles. All workouts have beginner and experienced options. Everyone will feel comfortable, yet slightly challenged. Come out and try a unique way to detox, strengthen and burn….. all while having some fun! Bounce, stretch, energize and CHALLENGE yourself in a fun, relaxing environment with some great music! Only 27 spots available for each class. *Children under age 10 are not permitted and will not be able to play during the class (supervision is not provided for little ones). You can pay at the door when you arrive. If you would like to guarantee a spot in the class, please purchase your reservation below (a $1 reservation fee will be charged, and you can reserve additional spots for the next 3 months for just $1). Purchase a 10 Session Pass at the Front Desk for $100 (saves $1 on each class).